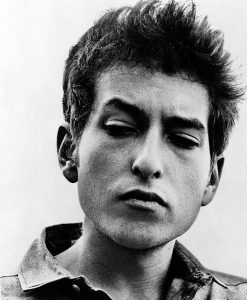 Bob Dylan’s song, “The times they are a-Changin’ ” was the anthem for much of my generation. It captured my feelings at the time and the desire many of us felt to make the world a better place and to do it now. I see the song differently some five decades later as we are seeing wave after wave of fundamental change highlighted with vocal and popular advocates for upending the existing order. What I see now in the song is the arrogance of my youth. While well intentioned, did we have the knowledge and wisdom to advocate change so fundamental people would “sink like a stone” if they didn’t get on board? I have lived long enough to understand my ignorance of people, society, and history. I have lived long enough to see the unintended negative consequences of the changes I so fervently advocated years ago. Our hearts were in the right place and good things did come from our actions. When I look around today I see the excesses of my youth played out everyday on the news. I wonder, if we were so smart, so sure of ourselves, so well intentioned, how did we produce the world we see today? But I also see in Dylan’s insightful lyrics the recognition that those advocating change may get more than they bargained for. He warns to the writers and critics not to “speak to soon for the wheel’s still in spin and there is no tellin’ who that it’s namin‘ ” Once the beast is unchained — “The curse it is cast” — it can’t be controlled. The future gets determined far more by the random spin of history’s roulette wheel than any desire or plan of the change agents. History has shown time after time that emotional social movements for change, often well intended, untempered by reason and wisdom can result in decay, not progress. Here are the entire lyrics. It is a great song. It made me think — then and now.